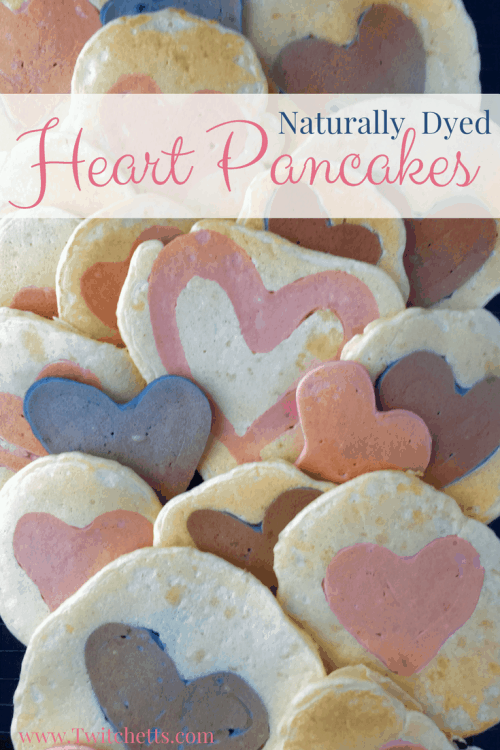 Make these naturally dyed heart pancakes for an unforgettable Valentine’s Day breakfast. 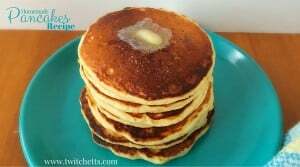 Use whole ingredients and a delicious homemade pancake recipe for a simple breakfast your kids will love. Nothing can beat homemade pancakes unless you add a cute little accent that your whole family will love. They don’t take too much extra time to make and it is totally worth it to make the morning extra special! Frozen Blueberries and/or a Can of Beets. To create your natural pancake batter dye, just reduce your berries and/or beets over medium temperature. Add a little water to the berries if needed. It doesn’t take much juice to dye your batter. Strain and let cool completely before adding to your batter. Mix batter and juice together and then add into the squeeze bottles. I cut the tip off of my bottle to let out the thicker batter. I use this all of the time to make fun pancakes even without using the dye. Create your heart, let sit a moment, then add the plain pancake batter around the edges. Continue to cook like a standard pancake. 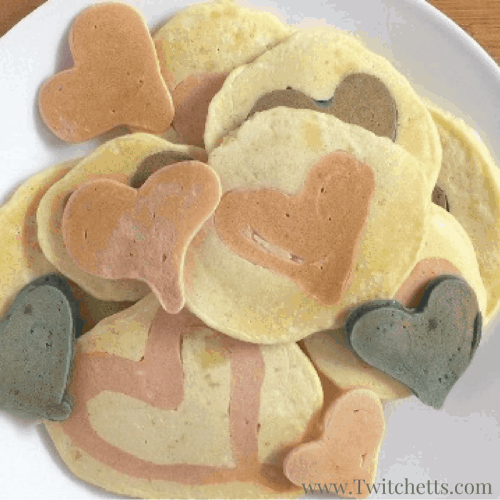 Your little ones are going to love these special heart pancakes! They aren’t just for Valentine’s Day breakfast either. You can do this to make a birthday or the first day of school special too! Check the video here to see just how easy these are to create! If you don’t make your batter from scratch I highly suggest you give it a try. It is really quite simple and very inexpensive! 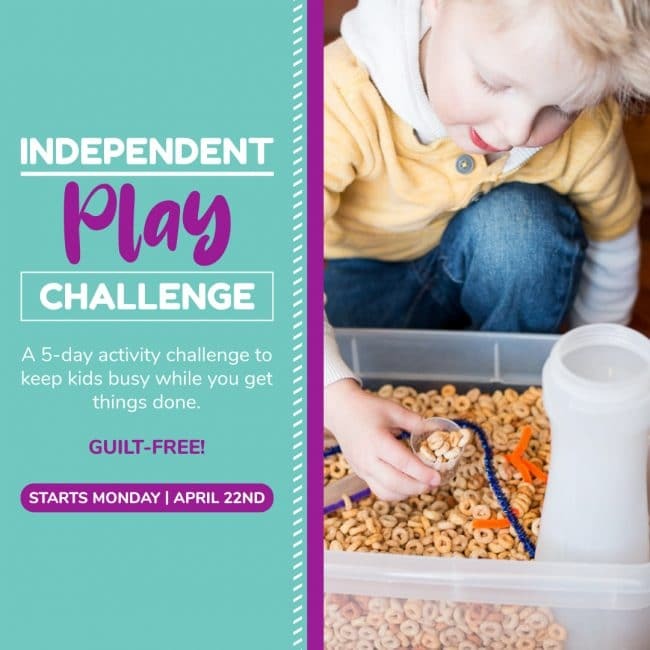 Check out our recipe here!